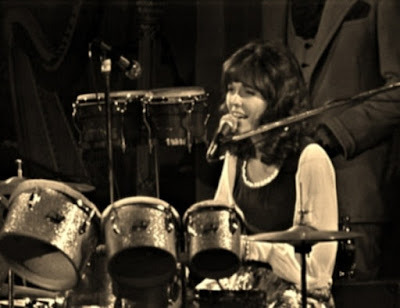 Karen Carpenter was an American singer and drummer. She and her brother, Richard Carpenter, formed the 1970s duo Carpenters. Although her skills as a drummer earned admiration from drumming luminaries and peers, she is best known for her vocal performances. From 1965 to 1968 Karen, her brother Richard, and his college friend Wes Jacobs, a bassist and tuba player, formed The Richard Carpenter Trio. The band played jazz at numerous nightclubs and also appeared on the TV talent show Your All-American College Show. Karen, Richard and other musicians, including Gary Sims and John Bettis, also performed as an ensemble known as Spectrum. Spectrum focused on a harmonious and vocal sound, and recorded many demo tapes in the garage studio of friend and bassist Joe Osborn. Many of those tapes were rejected by record companies. According to former Carpenters member John Bettis, those rejections "took their toll." The tapes of the original sessions were lost in a fire at Joe Osborn's house, and the surviving versions of those early songs exist only as fragile acetate reference discs. Finally A&M Records signed the Carpenters to a recording contract in 1969. Karen sang most of the songs on the band's first album, Offering (later retitled Ticket to Ride), and her brother wrote 10 out of the album's 13 songs. The issued single (later the title track), which was a cover of a Beatles song, became their first single; it reached #54 on the Billboard Hot 100. 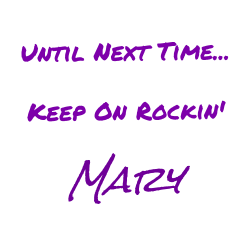 Their next album, 1970's Close to You, featured two massive hit singles: "(They Long to Be) Close to You" and "We've Only Just Begun". They peaked at #1 and #2, respectively, on the Hot 100. Carpenter started out as both the group's drummer and lead singer, and she originally sang all her vocals from behind the drum set. Because she was just 5 feet 4 inches tall, it was difficult for people in the audience to see her behind her drum kit, so she was eventually persuaded to stand at the microphone to sing the band's hits while another musician played the drums (former Disney Mouseketeer Cubby O'Brien served as the band's other drummer for many years). After the release of Now & Then in 1973, the albums tended to have Carpenter singing more and drumming less. At this time, her brother developed an addiction to Quaaludes. The Carpenters frequently cancelled tour dates, and they stopped touring altogether after their September 4, 1978, concert at the MGM Grand in Las Vegas. 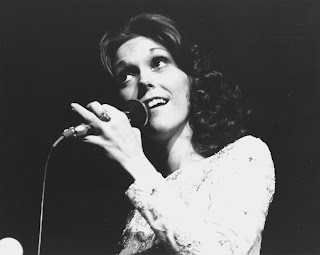 The Carpenters' Very First TV Special aired December 8, 1976. In 1980, she performed a medley of standards in a duet with Ella Fitzgerald on the Carpenters' television program Music, Music, Music. In 1981 after the release of the Made in America album (which turned out to be their last), the Carpenters returned to the stage and did some tour dates, including their final live performance in Brazil. In addition to being a drummer and a singer, Karen Carpenter could also play the electric bass guitar. She played bass guitar on two songs on Offering/Ticket to Ride (the Carpenters first album released by A&M). The two songs were All of My Life and Eve. Although Karen's bass playing is heard on the original album(s), Richard remixed both songs (as he has done with almost every Carpenters song), and Joe Osborn's bass playing was substituted for later 'greatest hits' releases. Carpenter suffered from anorexia nervosa, an eating disorder that was little known at the time. She died at age 32 from heart failure caused by complications related to her illness. Carpenter's death led to increased visibility and awareness of eating disorders. 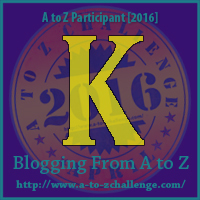 Who will represent the letter L?